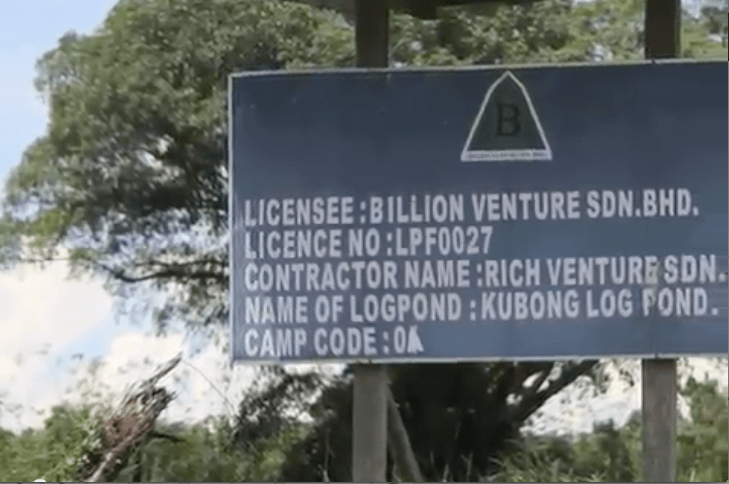 Huang Lung Ong is the lawyer who was caught on video representing the Hii family in their attempt to sell the 32,000 hectares of forested land licensed for plantation under their company Billion Venture. Sarawak Report can now further reveal that this lawyer appeared to be withholding crucial evidence from his prospective buyer. Because the Billion Venture concession is a major ‘hot potato’ of native unrest in Sarawak and the matter returns to court this very Wednesday! come together to challenge the State Government’s alienation of their lands without consultation or due process under the law. 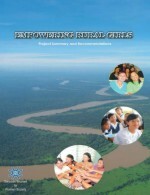 These communities are the Penan, Kelabit and Lun Bawangs, who live in the Upper Limbang region. This was an area of pristine jungle till the late 1980s when Taib savagely cracked down on the blockades against the invading loggers, whom he had handed the licences to. 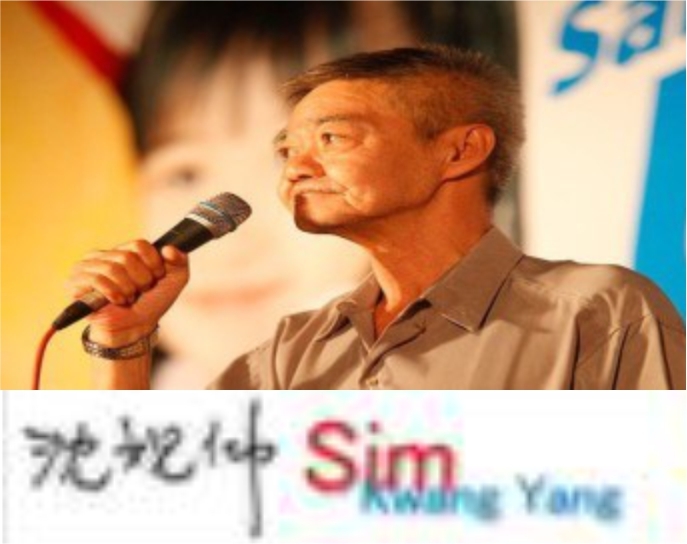 But Huang wasn’t telling the ‘buyer’, it seems, who was being asked to pay a whopping RM230million for the company that the plaintiff communities say has no right to the land the Hiis are trying to sell. 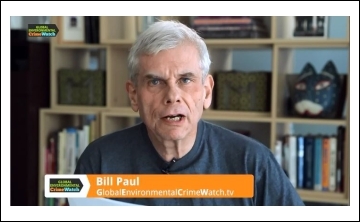 Instead he indicated to the investigators from the NGO Global Witness that there was no serious problem with the title to the land. 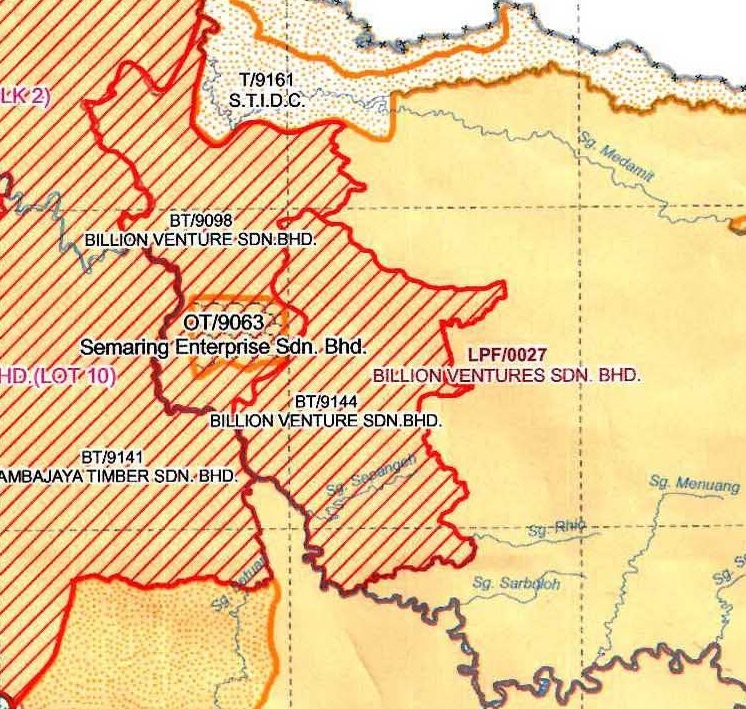 The complaint by the NCR land owners is that Billion Venture was secretly handed the NCR land belonging to no less than three communities in the Limbang region by the Chief Minister back in 2002. The concession consisted of a Planted Forest Licence LPF/0027, as well as two lucrative Belian timber concessions nearby. And yet neither the Chief Minister, the Land and Survey Department nor the company itself informed the local people that the transaction had taken place. Taib’s Land and Survey Department did not warn the local people their land was being considered for a logging and plantation concession. They did not notify them of the concession. They did not provide legal support or advice. 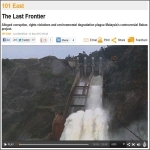 They did not attempt to negotiate a compensation settlement with the native customary land rights owners. All this was in breach of the law and the constitution, as the case between these communities against Billion Venture Sdn Bhd as well as against the State Governement for issuing the licences explains. 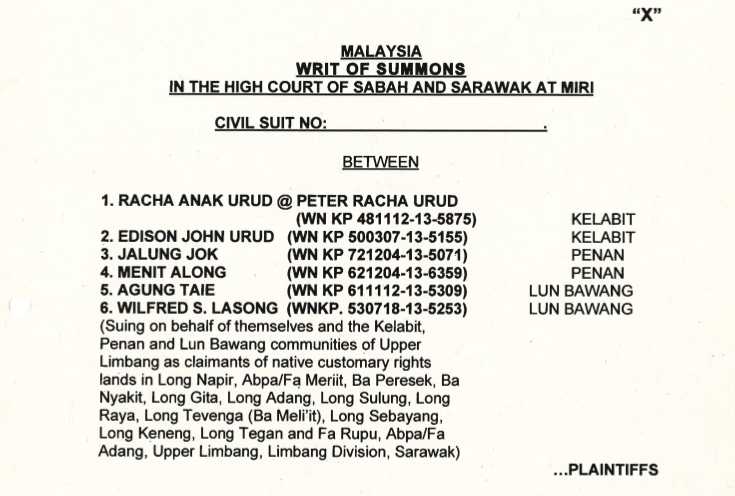 Suit against Taib’s State Government for acting unconstitutionally in handing out the licences without formally applying to extinguish the existing NCR land rights of the native communities, who had lived there “since time immemorial”. 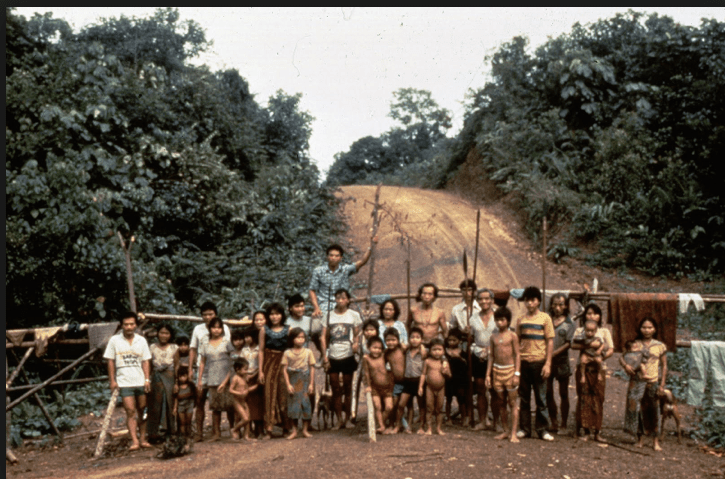 Rather than applying to extinguish the native rights and approaching the landowners in the proper way, the licence holders instead sat on the secret transaction for a number of years, so that the first the local people knew of what Taib had done was when bulldozers turned up to log and destroy the region. How many times have we heard of that trick being carried out in Sarawak and what mockery it makes out of Taib’s feeble claims last week that everything in Sarawak is done “according to procedure“. 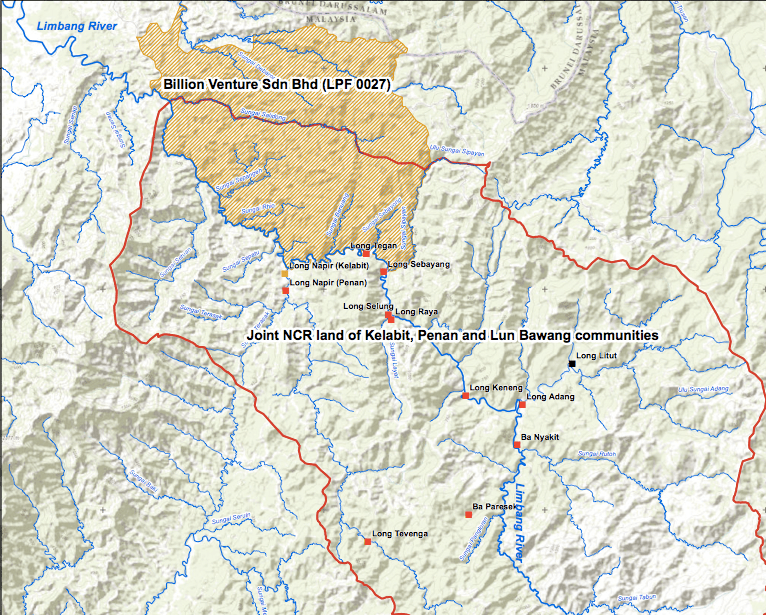 By the time these isolated communities had found out that their land had been signed away from them, first under a timber concession to the Samling-linked Ravenscourt Sdn Bhd and then as a plantation licence to Billion Venture, it was already too late. And by the time that they had then managed to get legal advice and make a case, these wealthy companies and Taib’s Land & Survey Department lawyers were able to argue that the period for complaining had expired! The defence put forward by Taib, the Hiis, the Yaws of Samling and the other defendants in this case therefore, is not that they didn’t break the law, because it is perfectly obvious they did. Their defence is that the villagers left more than the 36 month period allowed for complaints under the Statute of Limitations, so the law cannot be enforced! It is truly shocking that the original trial judge felt bound to accept this outrageous excuse to turn down the original case on such a technicality when the state government had so blatantly broken the law and neglected its duty to the people. Their faut they didn’t hire a lawyer in time about something no one had told them had happened? Because the NCR land owners were unable to complain in time and only brought their petition in 2011 the judge formally disallowed their case! But how were these poor people able to complain if no one had told them what had happened and if the licences had been kept quiet? And how are isolated communities who cannot often read or write and who have no money suddenly to be expected to hire lawyers to fight their case? 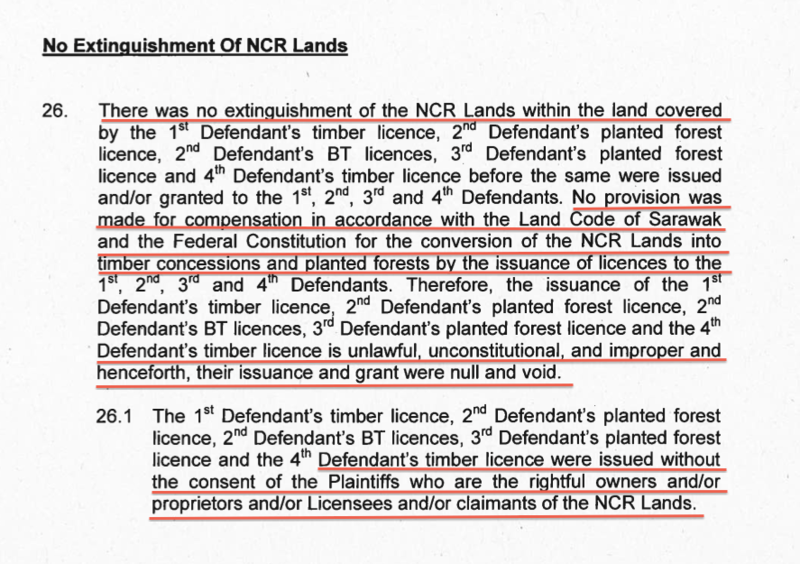 Clearly, it was the bounden duty of Taib as the leader of the state to make sure that the NCR landowners were kept fully informed of his plans and decisions and given access to legal advice and the compensation process. Instead he chose to breach the procedures laid out in the constitution and to plunder the lands of these poor people instead. The act was nothing short of deliberate fraud and Taib and his cronies have carried out such frauds all over Sarawak for the past 30 years of his rule. The PKR leader Baru Bian is the lawyer who has represented the people of Limbang against Billion Venture for the past 6 years. However, the people of Limbang are doggedly resisting defeat in this matter and the genocide and destruction it would bring. 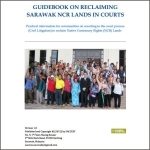 The Limbang case is one of the clearest examples of injustice against NCR landowners in Sarawak and it unites thousands of people from different native communities working together for the first time against the greed and deceit of Taib’s regime. Despite being let down by a legal system, which in Malaysia has become corrupted by political interference, they have refused to accept the dismissal of the case. 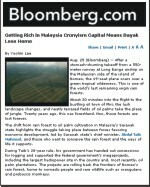 After all, Taib’s controversial land laws have also now been held to be unconstitutional in the Federal High Court. Why should the Chief Minister get away with robbing his people on such a flimsy technicality? The communities have been championed all the way in this case by the landrights lawyer and PKR leader Baru Bian and they have now successfully been granted an Appeal to contest the dropping of the case. And, given the increasing pattern of success of these “naughty” Native Land Rights cases, owners like the Hiis must be getting a little uncomfortable about coming back to trial once more. After all, as an election approaches, everyone can see that what they and Mr 10% (Taib Mahmud) got up to was evil, wrong, immoral ….. oh and yes unconstitutional. Of course it is still uncertain whether the courts will at last have the guts to correct such vast injustices as this. After all, Taib and his friends and family have chosen so often to label rightful land owners as “squatters”, in order to alienate their territories and sell them off themselves for billions. Yet the politically appointed judges have often bent backwards to let them off the hook. 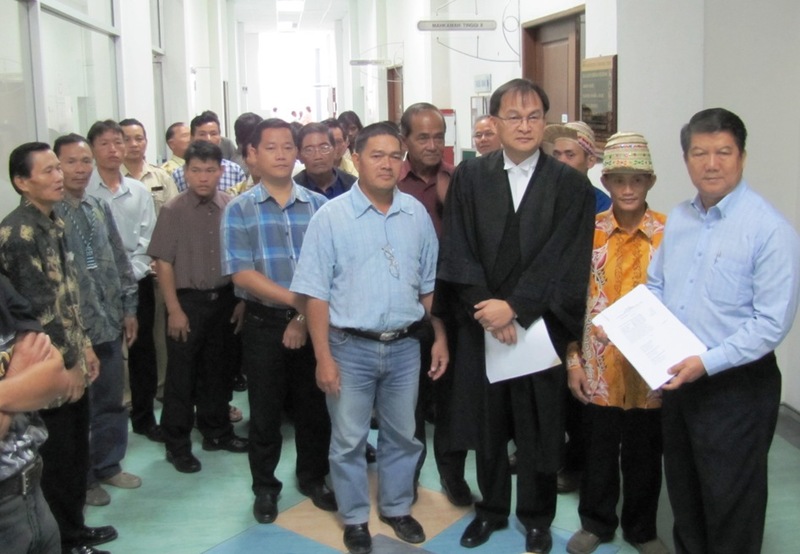 The native people can hope for justice on Wednesday, but the real place to deal with such issues is not in Sarawak’s corrupted court system, but through a change in government. The Hii’s vulgar Billion Venture plans could yet be nipped in the bud if the people can overcome Taib’s election-rigging tactics over the coming few weeks. Rather then fighting the Natives Sarawakians over Natives land, why don’t this Hii fellow bring his sons to china to look for their ancestral land there. I believed their land is still there in China somewhere unless land can migrate to another country! I’m very sure that they can use the same tactics there as they did here with the help of their very honest nephew lawyer of course! PBB’s hagemony in Sarawak must be defeated and the paramount thief minister be investigated for massive corruption and blatant power abuse in the last 31 years. We must kick out the pirates and thieves at Putrajaya and end PBB’s hegemony in Sarawak. Itu Billion Venture/Rich Venture punya tauke hari tunjuk muka di Bornoe post (yg ikut2 gaya Elvis Presley mau simpan side burn tu)…. project jalan dia di Taman Tunku Miri sudah masuk tiga tahun pun belum siap2 lagi! Sarawakians must not allow themselves to be further divided and split by the corrupted regime of Bn led by the thief minister Taib Mahmud. Accept the candidates nominated by PKR, PAS and DAP regardless of their religion, race and their place of birth. 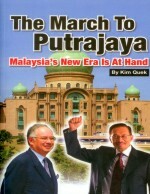 Throw all our support behind Pakatan Rakyat once the candidates have been finalised. Vote only for Pakatan Rakyat candidate. Too bad….the Dayak especially the Iban are too dumb to understand….just give them some cheap beer/whsikey they will vote for BN! Even if Mr Baru Bian cannot go far in his political struggle, a lot of Sarawakians will still respect and remember him for defending the right of the natives in Sarawak especially on land matters. Similarly, Sarawak Report (Radio Free Sarawak) has also been very helpfull. It is hoped that one day soon the natives will wake up and show their power and before that happens we want fairness and justice inorder for every Sarawakian to have peace and harmony. May ALLAH bless Sarawak and the people who sincerily want to protect her.